Every La-Z-Boy comes with a lifetime guarantee on the mechanism. We are also an authorized repair shop for all La-Z-Boy products! Bert Maxwell Furniture has the largest selection of La-Z-Boy recliners in Middle Georgia. We carry numerous styles in both fabrics and leather. Heat and massage chairs are available as well as lift chairs, reclining sofas, reclining love seats, many available with power features and Head rest Lumbar. Why buy from us? We believe that buying a recliner is like buying a good pair of shoes, it has to fit you in order for you to be comfortable. Our experts can help fit you in the right recliner to maximize your comfort level. 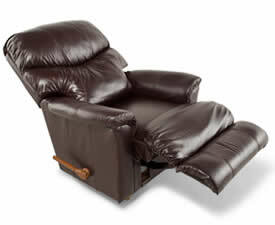 We stock most models of La-Z-Boy recliners, and can custom order anything in the line. With over 1000 fabrics and leathers and numerous styles to choose from, we can find you the look you want at the right price. 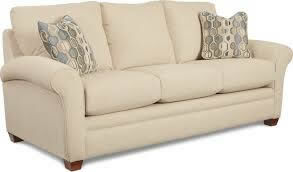 Enjoy the ultimate in comfort with power sofas that offer smooth, effortless reclining at the touch of a button. Choose from three different models that give you the option to independently move the back and leg rest or recline just inches from a wall. You can also upgrade your experience and add a power- tilt headrest, power lumbar and a hand-held remote. Combine the best of both worlds. Get the look you want combined with the comfort you need! This revolutionary new line gives you both high-end style and unexpected reclining power. Relax at the touch of a button, while built-in USB ports keep you connected. We can maximize your comfortable room with sectionals in motion, stationary, Duo, and sleeper options.